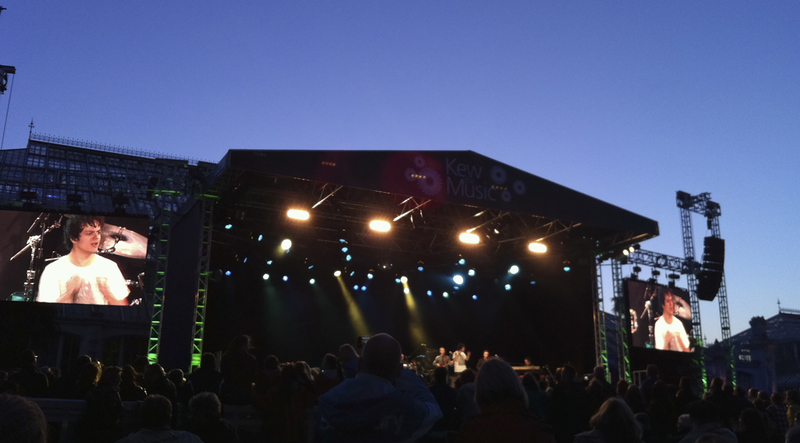 Last Friday, we saw the very talented Jamie Cullum perform at Kew the Music—an outdoor music festival at Kew Gardens. He was fantastic! Jamie Cullum is an English-born jazz-pop singer-songwriter. We started listening to his music around 2002 and saw him twice in concert whilst in San Francisco—once at The Palace of Fine Arts in 2006 and once at The Fillmore in 2010. It was amazing to see him in London—his home turf. 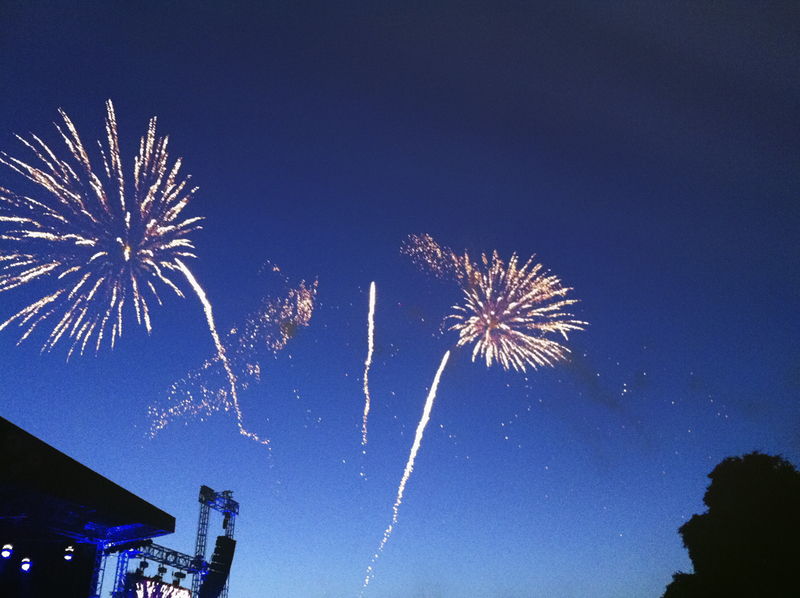 The concert ended with fireworks…how fitting. This entry was posted in The Events and tagged Jamie Cullum, Kew Gardens, Kew the Music. Bookmark the permalink.